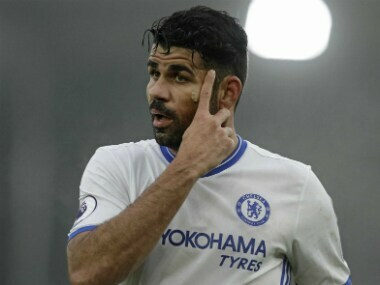 London: Diego Costa struck as Chelsea won 1-0 at Crystal Palace on Saturday, a club record-equalling 11th straight victory that sent them nine points clear at the Premier League summit. Costa's 43rd-minute header was the striker's sixth goal in his last eight games, his 50th Chelsea goal in total and gave Antonio Conte's side a third successive 1-0 win. "The run is fantastic," said Chelsea manager Conte. 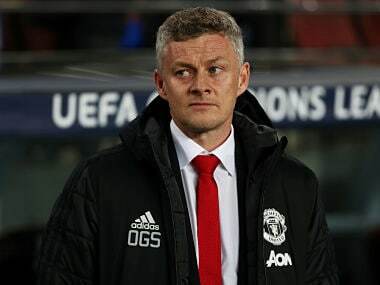 "Congratulations to my players, not me. I am pleased for them because they deserve this. "We can improve though. It is important to understand we are only at the 17th game in the season. We must not look at the table." Chelsea matched their record of 11 consecutive wins from April to September 2009, achieving the feat within the same season for the first time, and remain on course to break Arsenal's all-time record of 14. The match marked the first anniversary of Jose Mourinho's dismissal as Chelsea manager and the contrast in fortunes between the two clubs over the subsequent 12 months has been striking. With Guus Hiddink taking temporary charge, Chelsea steadied the ship before this season's resurgence under Conte, while for Palace, 2016 started badly and got worse. 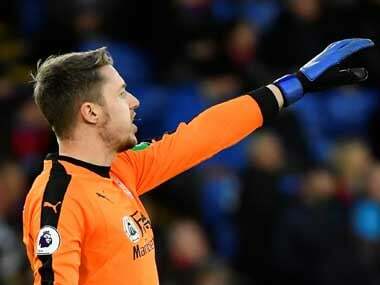 "We are showing in the last two games what we have shown most of the year," said Palace manager Alan Pardew. "It was a strong performance, but they did not give us anything." Palace enjoyed long periods of possession in the first half, but Conte's side held them comfortably at arm's length before Costa struck. Before then, Palace had the better chances, with Jason Puncheon in particular guilty of missing a clear opportunity when he screwed a first-time shot wide from Martin Kelly's right-wing cross. While Pardew's side continued to press, with James McArthur heading wide from another Kelly cross, it was clear that Puncheon's miss could prove costly. Instead, it caused confusion, with Hennessey starting to come for the ball before stopping and Scott Dann failing to monitor Costa's run, enabling the striker to climb above him and head past Hennessey. For 15 minutes after the restart, Pardew's side pressed, but Chelsea held on comfortably before taking control as they attempted to kill off the game.